Provides important information and insight on B2B and B2C content marketing tactics, strategies and tips. Content marketing has a strategy problem. Research from the Content Marketing Institute found that only 41% of content marketers always or frequently produce assets related to specific points in the buyer’s journey. This stat is startling because it means nearly 60% of content is produced with only vague regard for where it fits in the buyer’s journey. So questions like, “Is this content relevant to your audience?” or “Will this material help people make more informed decisions or overcome their challenges?” simply aren’t being considered often enough. These questions are cornerstones of any decent marketing strategy, so if you’re not using them to align your content to the customer journey, how do you expect to nudge people closer to making a purchase? Relevancy is a moving target. What people find interesting when they first interact with your brand will change as their understanding grows. As buyers move closer to making a decision, the questions they’re asking change. This is process is referred to as the customer journey, because the information needs of the customer change over time. In fact, research by Aberdeen found targeting users with content related to where they are in the buying cycle resulted in a 72% increase in conversions. Your goal as a content marketer must be to supply the best answers to the questions your audience is asking at any given stage of the journey. If you can manage that on a consistent basis, you’ll establish your brand as a trustworthy source of information. And once it’s time for the customer to choose a solution, your organization will be in prime position because of the trust you’ve built with your audience. 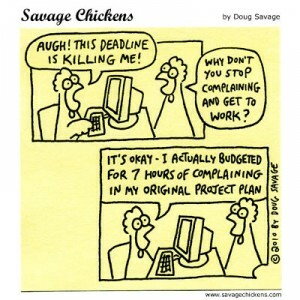 This is lead nurturing in a nutshell. And it’s critical for producing revenue because the vast majority of people who come to your website are not ready to buy from you. But if you maintain a relationship with your audience through email and retargeting campaigns, you can nudge them closer to making a purchasing decision. That’s why nurturing leads produces, on average, 20% more sales opportunities. But you can’t nurture leads without content. And to do that, you have to understand the series of stages buyers go through in the customer journey. In this stage, the customer has no knowledge of your company or even that they have a problem that needs solving. Content for this stage of the customer journey doesn’t need to focus on selling your product or service. Typically, this type of content will be something more newsworthy, like industry research results or a narrative piece. For example, Atlassian wrote a story about 500 of their employees working from home for a week. Atlassian sells project management software, so this is article is only marginally related to their product. Your main goal at this point is just to attract people to your site who have an interest in your industry. Atlassian’s article does a nice job of mixing a human interest story with a subject that potential customers would be interested in. If the content is good, people will come back for more. When someone is Problem Aware, they grasp there is a problem, either in their personal lives or in their business. They don’t necessarily understand how to solve that problem, but they do want to learn more. 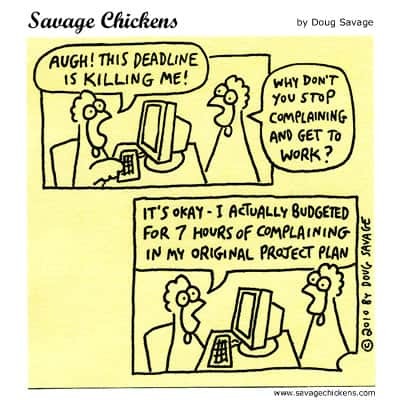 Content at this stage should speak directly to problems your company solves without overselling your organization. At this point, the goal is to provide value without asking for anything in return. This phase is the crux of building trust between you and your audience. You need to convince people you understand their problems, and explain how they can solve them. Contently uses the Content Marketing Institute’s annual event as a starting point for Problem Aware content. This article analyzes three big problems that are affecting Contently’s target market, i.e., content marketing managers. This type of industry analysis draws in marketers who are concerned about their content strategy and positions Contently as a trustworthy voice in the market. The post doesn’t mention Contently’s solution at all. Rather it simply provides education about problems that are relevant to readers. Once someone decides their problems are pressing enough to fix, they move to the next stage, Solution Aware. In this stage of the customer journey, your audience is looking for solutions to fix their problem. This, my friends, is the first real time when it makes sense to emphasize the value of your solution in your content. Now, the approach shouldn’t be to pontificate about your product specifically, but rather about the type of solution you’re selling. This Apptentive post listing reasons why you need a customer feedback system is a perfect example. The post begins by acknowledging where readers are at in the customer journey: “By now, marketers and product owners understand the importance of listening to their customers.” The writer knows the audience understands their problems, i.e, they need to listen to their customers. Now, she has to convince readers that a customer feedback platform is the right solution to that problem. When someone is Product Aware, they are considering specific products that are solutions to their problems. Finally, this is the time to put your company front and center. Your biggest consideration here is less about strategy — it’s probably not a surprise that you need case studies to persuade people — but rather how you execute it. Instead of gating their case studies behind forms, Appcues publishes blog posts that detail how companies have succeeded with their product. The difference between good content and mediocre work at this stage is the detail with which you describe how your product helps people. The more specific you can be about how your product works to deliver value, the better. 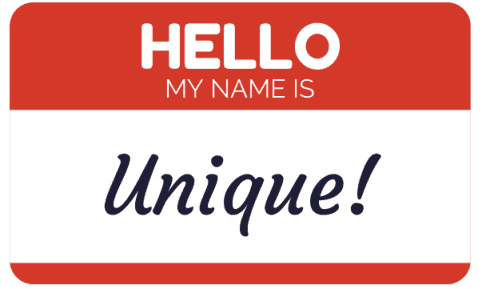 Most Aware prospects are familiar with your product and the value it delivers. They just need an incentive to act. 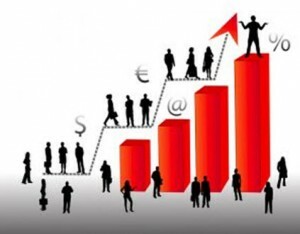 Klientboost utilizes it a free proposal to convert people who are Most Aware. The process contains multiple steps, with each screen emphasizing the value of your free proposal. Once someone converts with this piece of content, they’re basically knocking on your sales team’s front door. In fact, I bet discussing this free proposal is the first step in Klientboost’s sales process. The key to creating this type of content is to compel people to act in the moment. Your offer should reflect the immediate benefits your audience will experience. Lead nurturing isn’t easy. You have to understand what questions your audience is asking at each stage of their journey. Then you have to create the right content that speaks to each of those needs. Then you have to plot automation campaigns to deliver the content at the right time (a subject we’re barely covered in this post). The fuel for your lead nurturing machine is content. And if you don’t have the right content, you’re letting customers slip through your grasp. Bio: Zach is the Director of Content at DePalma Studios, an agency that specializes in enterprise UX. Zach’s work has been featured in Entrepreneur, Invision, and ConversionXL. What if you could sit back and produce a blog every week with less than 30 seconds of effort? Have you considered outsourced blogs or using an outsourcing service to complement your blog content with authentic, SEO boosting content? Drive traffic to your site. Blogs/content drives SEO. SEO drives traffic. Blogs are lasting. Not only do you drive customers to your site when you release a blog, you win prospects and customers over for the future too! With Lead Liaison you can outsource blog content with ease. 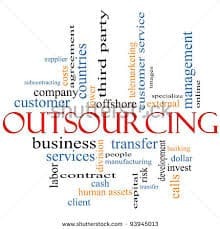 You choose the content, outsource it to our third party writers and schedule future blog posts. It’s an end-to-end project management interface that walks a marketer (or intern) through the process of requesting content, reviewing it, approving it and automatically publishing it to your website via content management systems like Joomla!, Drupal and WordPress. The net results: $ 250 + 10 minutes a month could yield a blog post each week for your company if you were a Lead Liaison Customer. For the naysayers that say people don’t read blogs anymore. You just did. We know that customers today are armed with more knowledge than ever before. Instead of your sales team being the lead communicator of your product’s details, buyers are getting their expertise via the internet. This means that by the time you reach them, many have already made up their mind and are primed to purchase. How do you reach them before they’ve made up their minds? As we’ve heard over and over again: content, content, content. Read more about how content creates success here. Creative content leads to inbound marketing, meaning higher close rate. 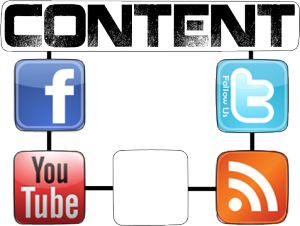 Let us provide you with 3 ingredients to content marketing. Publish to your blog appropriate content. What do your potential buyers want to know? Which topics are getting retweeted? Is there a big change in the industry that needs to be reported? When creating content, it’s also important to write in a way that’s enjoyable to read. Read more about a few ways to let your audience decide your content. Use your landing pages to better understand your readership. Analyzing the bounce rate will inform you of the modifications needed to improve the performance of your landing pages. You can also use transactional landing pages to directly interact with potential buyers. Then, you can import the stats from the landing pages into your CRM for better lead management. Optimize the visibility of the content and convert into marketing automation. Use the appropriate key words and gather results from your social media sharing to determine what your readers are looking for. This is a process that will be repeated and improved constantly. Learn more about optimizing your website conversions here. 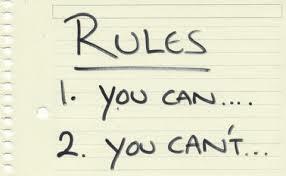 Last but certainly not least, structure your content conveniently. You want potential customers to be able to find the information they are looking for. Optimize your user’s experience on your blog by organizing by topic and creating hashtags. If you are able to influence the user with the information on your site, your chances of closing are that much greater. There’s something to be said for the way we process news and how that factors in to overall article marketing strategy. In the not-too-distant past, article marketing was all about stuffing articles with keywords and submitting them to as many article directories you could find. 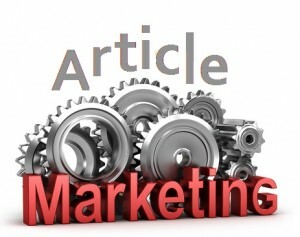 These days, article marketing necessitates a unique approach that includes curating useful content and reaching out to top-ranking websites to create connections. Doing it any other way could result in some serious Google penalties for your website – as well as the isolation of your loyal audience. Many companies feel they have blogs that are newsworthy. Using news content for your article marketing isn’t really as easy as creating a great story and putting it on your social media accounts. There are several steps to ensuring your curated content is out there and visible by your target audience. For starters, you might want to consider attempting to get your articles featured on Google News. This isn’t as easy as directly submitting them to Google. First, you will want to focus on having a regular readership and comments/feedback on the articles you use for article marketing. Second, the articles actually need to be newsworthy. Don’t just use press releases- create news stories that focus on current events in your industry. It’s also important to consider creating a Google news sitemap. Follow the instructions you see in the link and set up your sitemap. Make sure to update it each time you have a news story worth reading! Many small business folks are looking to do their article marketing via automated content. This ensures that each time content is created, it will go out on your blog and anywhere else you tell it in a timely fashion. Creating a news site for your article marketing necessitates your content going out on a schedule that you can stick to. Automated content can help you ensure you’re getting content out to readers when they expect to see it. If you’re creating a news site, Google isn’t going to take you very seriously if you don’t have timely, updated content. Lead Liaison recently rolled out our new automated content management feature and we’d love to have you check it out! Automated marketing platforms are becoming the go-to for busy business folks who don’t have the time to curate and share newsworthy content. If you’re doing article marketing for your business, please take a look at our automated content services and let us know what you think! What Does Context Have to Do with Content Marketing? After Google’s latest algorithm change, context is the new king of content marketing. This means that regardless of how much keyword-optimized content, how many words you have on your page or how great your content is, you may not rank the way you’d like to if you aren’t answering the questions users pose with search queries related to your site. We’ve talked extensively about Google’s Hummingbird update. This and other changes by Google ensure that context is the most important criteria in a user’s search. Users aren’t just looking for info about a certain topic, they’re looking for information that specifically answers whatever questions they’re trying to pose. This is where you come in. These days ensuring you’re giving users the right context can be about over explaining things. In the pre-Hummingbird days, one of the most important things you could do in developing site pages is keep the user on your site for as long as possible, not overwhelming them with content and giving them the right navigation to “fall down the rabbit hole” in your site – exploring page after page to browse content in several areas. Post-hummingbird page strategy isn’t that different. You still want users to get happily lost in the wealth of information you’re giving them – but you want the pages they land on to answer the specific questions they’re looking for answers to. For instance, “What kinds of flowers should I plant in spring” should bring up an intro page on a site with a wealth of information about different kinds of spring flowers and individual pages on how to best plant them – not just an article about “The 10 Best Spring Flowers to Plant.” This may not happen just yet, but keep in mind Google is crafting search to lean toward content, so the more information you can provide that answers user questions, the better. Less is not more – don’t worry about rewriting existing pages on your site. If anything, add more content to those pages or link to content that ensures users will get their questions answered. And most importantly, if your content marketing isn’t truly answering any questions, start by thinking about what your users want to see from you. If you don’t know the questions it’ll be hard to come by the answers. Lead Liaison has a truly unique content marketing platform unlike any other marketing automation dashboard out there. Our writers can craft content marketing focused around the general questions your site visitors want answered. Let us show you how! https://www.leadliaison.com/wp-content/uploads/2013/04/Lead-Liaison-Logo5.png 0 0 Lead Liaison https://www.leadliaison.com/wp-content/uploads/2013/04/Lead-Liaison-Logo5.png Lead Liaison2014-02-11 06:00:142014-02-10 21:31:45What Does Context Have to Do with Content Marketing? Creating infographics is one great way to share information with your audience base. For many small businesses, one of the main challenges in creating infographics is finding the time or the talent. It’s also important for small business to integrate graphic creation into an already-existing content strategy, rather than making them chief in the strategy. Network dissemination is also important to consider – if you’re only using Twitter and you’re posting mostly infographics, chances are your audience will never see this content. Finding network-appropriate content should be part of your overall marketing strategy. Pretty much anyone can use a free graphics editor and slap together an infographic, but keep in mind that your audience wants to see streamlined content. The difference between a low-quality and high-quality infographic is something your audience doesn’t have to be graphics experts to pick up. Other businesses have set the bar with high-quality graphics and content, so it’s important to ensure that a graphics and design expert is looking over or even making your creations. So is creating infographics difficult? Not necessarily – but creating high quality infographics is something you might need some help with. If nothing else, high quality templates are available for purchase from stock photo sites. You can always use a simple photo editor and modify these to suit your needs. We’ve talked about how creating a content strategy that fits what your audience wants to see is the most important thing you can do. Once a small business gets a good method going for creating and disseminating infographics, these graphics often overtake a business’s social media stream. Treat the infographics created by your company as you would any other type of content. Make sure that you’re measuring responsiveness – do more people comment, like or share infographics than they do text or image content you release? Do you find your numbers dropping when you use more or less graphics? As with any other social media content, the way you use graphics in your social media feed is an experiment at first. If you find tons of people responding and engaging when you post infographics, you’ll want to make sure. Opposite results should yield less infographics in your social media streams. Don’t forget to include your company’s branding – including company name and logo – in your infographics. You don’t want another company sharing your images and taking credit for them! Branding ensures people will know the useful and beautiful data they’re seeing comes from you. 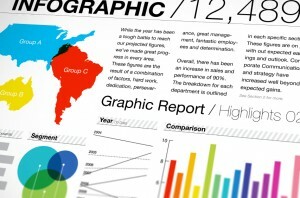 Your infographics should contain great data as well as beautiful imagery. Let us help with the data! Our content writers can put compelling stats together for your images. Talk to the Lead Liaison team about getting social media and content help for your company ASAP! https://www.leadliaison.com/wp-content/uploads/2013/04/Lead-Liaison-Logo5.png 0 0 Lead Liaison https://www.leadliaison.com/wp-content/uploads/2013/04/Lead-Liaison-Logo5.png Lead Liaison2014-02-05 06:15:462014-02-03 17:18:32Should You Be Creating Infographics For Your Company? 2013 saw one of history’s most major shifts in SEO and content marketing, affecting brands around the globe. Google’s secure search shift led to a lack of keyword data readily available to the monitoring end user, leaving businesses in the dark about what keywords are being typed in to find their websites. The “death of SEO” naturally isn’t really an ending, but the beginning of a need for more content-conscious strategies, necessitating sites that are as user friendly and engaging as before with a new stream of fresh content and marketing tactics that don’t adhere to the old paradigm. To break all this down into simpler terms, you really need to make sure you’re putting stuff on your site. That ‘stuff’ shouldn’t be just anything – but well-researched, well-planned blogs that add to the value you present your readers, – content that generates traffic and that focuses on keywords that can elevate your brand. If you don’t have a content strategy in place or understand what your readers want to see, that can be hard to do. If your historical data doesn’t show you what kind of content interests readers, take a look at the type of content being released by popular blogs and news sites relevant to your industry. Don’t copy the topics exactly – focus on writing posts that discuss the same stories from a different angle. Also consider adding content that fulfills a need. If you would love to see a news story on a particular topic but can’t find anything out there to fit your needs, your company should be the one writing that story. No one likes to do it – particularly a busy decision maker –but your good intentions about writing weekly blogs may not be something you have time to do. It’s important to makes sure you plan on picking up only the slack you can, and hiring content writers to pad out your pages where appropriate. If you’re concerned this will render your voice in authentic, then make sure to suggest topical guidelines and a keyword focus for each page so your content team will have some direction. Lack of good content writers isn’t a unique problem – this is why Lead Liaison developed the content marketing dashboard for our customers. We’d love for you to take a look at what we have to offer and let us help develop content for your business! The New Year is almost upon us, and content marketing isn’t a concept that will leave us anytime soon. Even seasoned marketers and business professionals have bad content habits. Since 2014 is just around the corner, there’s no better time (aside from say, right now) to re-engage your audience and leave some bad content habits behind. Hey, this goes for us, too! We could all use a big dose of efficiency for the New Year. 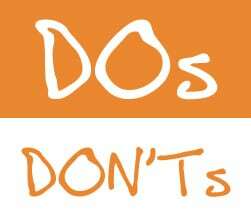 With this in mind, we’ve created a list of content don’t-do’s for 2014. Let’s get started. When Content Marketing, let your audience determine your direction. If your social media accounts and blogs are new, you may not really have an idea of what your audience responds well to. If you’re using marketing automation services like Lead Liaison to keep track of content marketing, it’s time to take a look at the data. Discover from Facebook Insights which of your posts gets the most interaction and the most clicks back over to your website. Take a look at what blogs inspire comments. Figure out which emails have the highest open rate and click through numbers. Don’t give up on letting the data show you what your audience is responding to. It’s difficult to create content when you know no one’s responding. Take a look at content that doesn’t have high engagement and see if you can effectively stay away from those topics. If you don’t have time to do content marketing, it’s time to stop lying to yourself about getting it done. 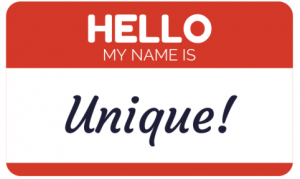 Writing blogs, emails and social media status updates don’t necessarily have to be your forte. In case you haven’t noticed yet, Lead Liaison has a great content marketing solution that can help you get content up and running. Is it a pain? It is. But these days, most of us have Word or some similar software. Rather than writing directly into your Facebook posts, your automation dashboard, or your blog, use Microsoft Word and then paste your spellchecked copy over. It seems simple, but you’d be amazed at the amount of folks who still don’t do this. Copywriting of any sort becomes a tedious task if you hate it. If you can tolerate it, write about the parts of your business and industry that you actually enjoy. If not, maybe it’s time to bring in some help! Talk to the friendly Lead Liaison team about our reliable content marketing solutions today. Social media content is what drives engagement for your brand. Whether you’re posting just a few times a week or interacting daily with your customers, it’s important to create and maintain a social media presence over time. Part of creating a social media content strategy is knowing what your customers want to see. For many businesses, the only way to truly find this out is to test various forms of content over time. Many people respond better to images, some to news stories, some to blogs from your own site. And of course, there are infographics. Infographics are awesome, but splitting up your content into different types will really determine how your audience wishes to engage with you. You can never really be sure what will go over best. It’s a good idea not to make the assumption that every person in your audience is a visual person and enjoys seeing their social media content in picture form. Images don’t appeal to everyone – in part because they don’t always load quickly on certain connections. Instagram is a great way to share image content. You can even use that content to showcase your products or services. As long as you’re interacting with other Instagram users, they’ll follow you and you’ll have an opportunity to put what you’re selling right in front of them. It can truly be a powerful platform. Because Facebook is capable of hosting various types of multimedia content, why not set up your company Instagram to send images straight to your Facebook? That way you can save your Facebook postings for social media content relevant to information from your site, news posts, blogs or other text-ready updates. If you’re posting a few times a week, you may not have enough content out there to drive engagement. This is particularly the case if you’re only posting images and not sharing multiple forms of content. It’s a good rule of thumb to mix up your content and test it using all the capabilities Instagram has to offer. Some folks stick to images because they simply don’t have the wordsmithing abilities to create blogs and content for their site, much less social media content updates. We can help! 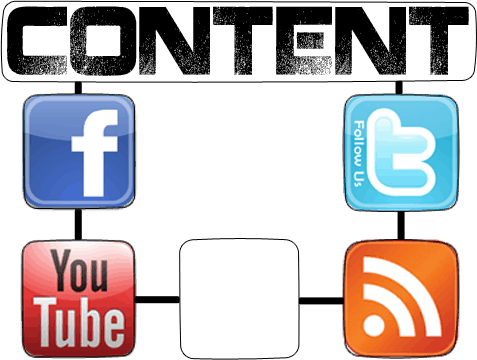 Lead Liaison offers social media content services right within your dashboard. Simply send out your request and our writers will take care of your needs within a specific timeframe – whether you’re looking for social media content updates, blogs or other pieces of writing. Let’s talk about your content needs today! Hiring a content writer seems pretty easy, right? You put an ad out there or consult a hiring service. You go through work samples and resumes, and then make your selection. After you hire the right person, you’ll never have to worry about your content again. In fact, hiring a content writer will ensure years of awesome content you never even have to proof read. Unfortunately, this isn’t the case. We’ve heard all the horror stories – from important deadlines not met to work farmed out overseas to writing so terrible you can’t believe the person you hired wrote those writing samples you were so excited about. It happens all too often. Many people hiring a content writer ask the writer to pen a paragraph as a ‘sample’ without offering compensation. This immediately breaks the trust bond between you and your worker. Look over any past writing samples they send you – and always ask for samples –but also consider contacting references rather than asking for a personalized sample. Reputable, seasoned contractors are not going to do any work for free. If you’re thinking of paying $1 an hour, you can’t always rely on high quality content resulting. Rather than paying hourly or by word count/page, you might consider striking up a deal with your copywriter. For long-term work, he or she might be willing to take $5-20 an article depending on the length and complexity. Consider what makes sense for you financially, and then be upfront about what you expect and what you can afford. Automated article spinning software exists, but if you’re looking to give users an authentic experience and avoid search engine penalties, make sure your content writers create unique content every time they write for you. During the interview process, ask upfront if your potential writer is using automated software or farming article writing overseas. It happens more often than you think. Lead Liaison’s content marketing system is tied directly into our marketing automation dashboard. We work with real, experienced writers. Rather than hiring a content writer on your own, let us provide you with the quality content you’re looking for right away. Let’s talk about how our writers can benefit your business!